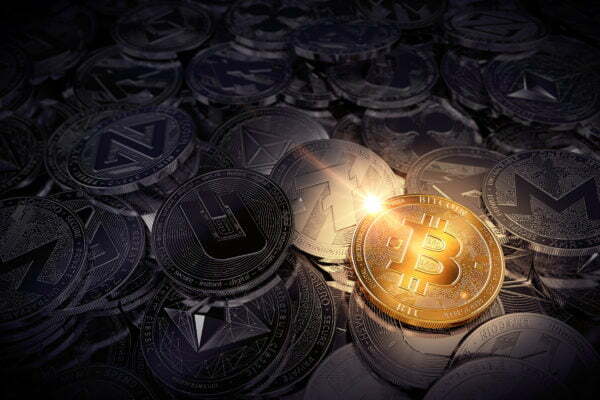 Following a quiet Saturday where the cryptocurrency markets saw relative levels of stability, the volatility has increased on Sunday, with Bitcoin (BTC) holding stable as most major altcoins drop slightly. Earlier today, Bitcoin dropped towards $3,550 before quickly bouncing, which adds further support for the notion that BTC has a significant amount of buying support at this price level. At the time of writing, Bitcoin is trading down nominally at its current price of $3,590. Over the past week, Bitcoin has been caught in a trading range between $3,550 and $3,650, and it has been unable to decisively break above or below either price level. Earlier this morning, Bitcoin was pushed down to $3,550, the bottom of the aforementioned trading range, but was quickly propelled higher by the cryptocurrency’s bulls. The Cryptomist, a popular cryptocurrency trader on Twitter, spoke about BTC’s price action earlier today, importantly noting that Bitcoin has been able to maintain higher lows since early-December. “$BTC… Broke down support and bounced of a support that has held well since early December, thus maintaining higher lows… Strong lower wick suggest bulls are very much are present from 3470 region… Previous support on RSI candle now acting as resistance… Sig breakout before 1st feb,” she explained. Although this sentiment is cautiously bullish, DonAlt, another popular cryptocurrency analyst, shared a more bearish sentiment in a recent tweet, noting that he believes a break below $3,000 appears to be more likely than a break above $4,000. “A break of 3k seems more likely to me than a break of 4k currently. I don’t like altcoin pumps while BTC is sluggish. Hope I’m wrong,” he explained, referencing some small cap altcoins that have seen some decent price gains over the past few days. Although Bitcoin has been able to hold steady around $3,600, most altcoins have dropped today as the crypto markets experience some typical Sunday volatility. Most major cryptocurrencies have dropped today, despite Bitcoin’s current stability. At the time of writing, Ethereum is trading down 1.7% at its current price of $115. Ethereum, like most major altcoins, has been closely tracking Bitcoin’s price action, and fell to lows of $113 earlier today before bouncing to its current price levels. XRP has also dropped today and is trading down nearly 2% at its current price of $0.31. XRP has failed to experience any significant rally since it dropped earlier today, leaving it right above its weekly lows of just over $0.30.